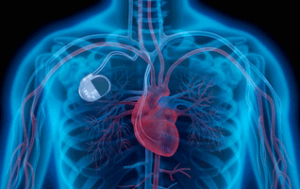 Many patients with pacemakers and defibrillators can also be examined in the magnetic resonance imaging scanner (MRI) according to the latest scientific guidelines published by the European Society of Cardiology (ESC). This applies both to “MRI compatible” as well as to “conventional” pacemakers, defibrillators and CRT systems. This has closed a diagnostic gap. All MRI examinations (head, spine, joints, organs, arteries, etc.) can be carried out. We have specialized in this procedure and can offer it to you. Patients with statutory health insurance can be examined and the costs assumed1. As a patient, you will be continuously supervised by a cardiologist and a radiologist before, during and after the MRI scan. Not every patient with a pacemaker or defibrillator may be examined in the MRI. We check the suitability of each patient on a case-by-case basis. The following procedure has been tried and tested to ensure you the greatest possible safety. We also require a referral from your attending physician, who can attest the medical indication. You will then receive a phone appointment for a preliminary talk with the specialised cardiologist. If suitable and medically indicated, an appointment for an examination can be agreed. First, there is a consultation session with the cardiologist and the radiologist. The examination is then carried out with the open high field MRI scanner (Panorama, Philips) according to the guidelines of the European Society of Cardiology (ESC). Rapid techniques ensure short examination times. 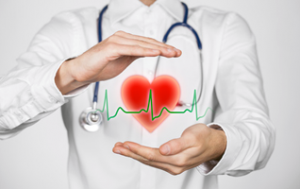 Your cardiovascular function is continuously monitored during and after the MRI. Immediately after the examination, the pacemaker/defibrillator is checked, and if necessary reprogrammed, by the cardiologist. Finally, the radiologist discusses the images with you on the monitor. You will receive a data carrier from us with all the images recorded. We send the written findings from the cardiologist and the radiologist to your attending cardiologist and your referring physician immediately after the examination. After approximately three weeks your pacemaker/defibrillator is given a final check by your attending cardiologist. 1 As a patient with statutory health insurance, upon submission of the referral, you will receive from us a cost breakdown for the MRI examination and for the cardiological services. You present these to your health insurance company to obtain the authorisation for the assumption of costs. Patients with pacemakers and defibrillators can also be examined in the magnetic resonance imaging scanner (MRI) according to the latest scientific guidelines. This has closed a diagnostic gap. All MRI examinations (head, spine, joints, organs, arteries, etc.) can be carried out. We have specialized in this procedure and can provide it for you in cooperation with an experienced cardiologist. We check the suitability of each patient on a case-by-case basis.